A VERY SPECIAL EVENING on Saturday, Sept. 26! 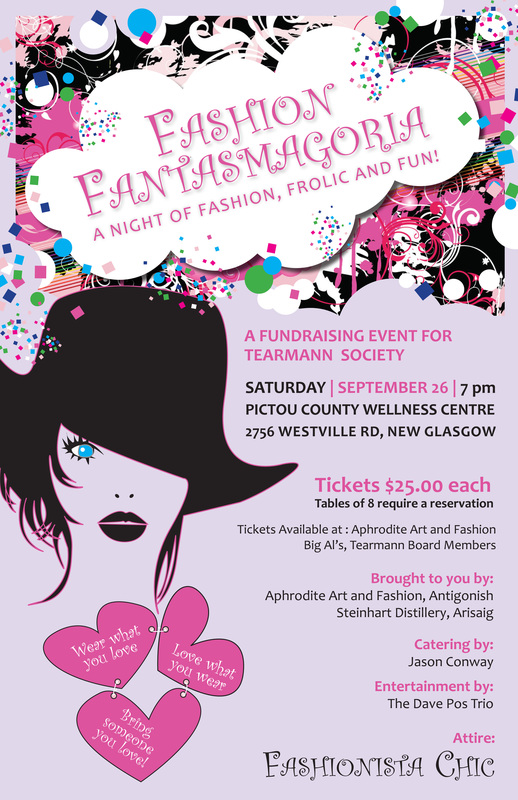 Aphrodite has joined forces with the Tearmann Society to bring you a fabulous evening of FASHION, FROLIC AND FUN! Most important is that this is a fundraising event for a most worthwhile cause – The Tearmann House, a transitional centre for abused women that services Pictou, Antigonish and Guysborough Counties. Close to 200 tickets have already been sold – and must be bought in advance as we expect a sell-out! For more on the Tearmann House read below. Hope to see you there!